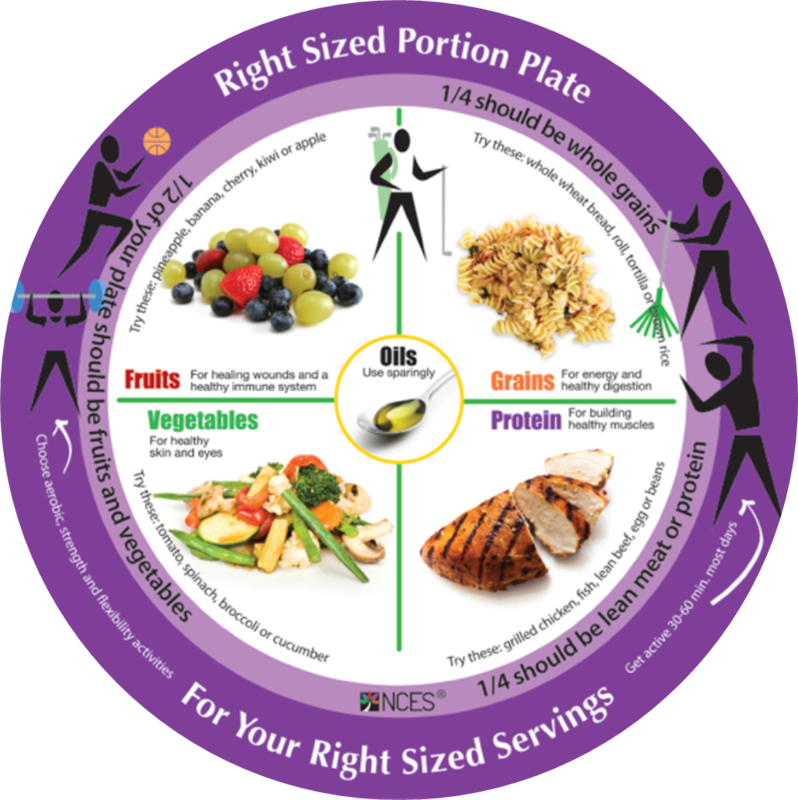 This colorful plate will help teach adults how much of each food group they should be eating each day. It also covers the importance of physical activity with a balanced meal. Dishwasher Safe, Melamine Plate.